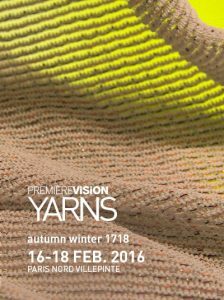 we kindly invite you to visit us at International show of yarn and fibers – Premier Vision which will take place from 16th till 18th February 2016 in Paris, France. The show is dedicated to yarns and fibres and presents all the latest global innovations. Do not miss the opportunity to discover new yarns’ developments and research projects by Litia. Meet our staff at Stand 5N87, Hall 5 to discuss your needs and find out, what Litia can do to power up your business.